No fewer than four Swimming pictures in a row on Cat-of-the-Day, and not a single cat in-between. The trouble is, I am away and there are no cats here. So, here is a brief dog…. 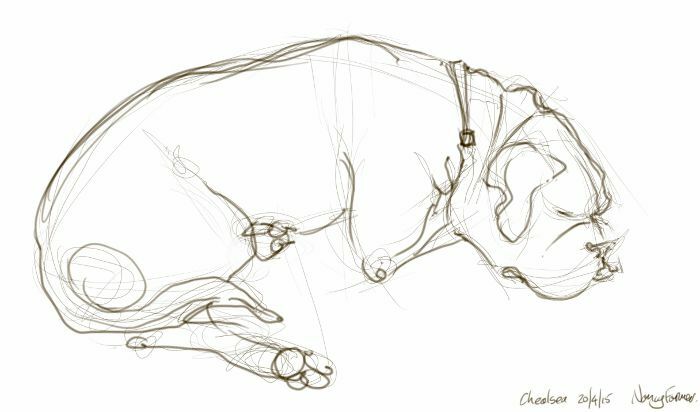 This entry was posted in Dogs and tagged art, boxer dog, dog, dog drawing, dog sketch, drawing, illustration, life drawing, picture on April 20, 2015 by Nancy Farmer.